If you buy 2 or more models we will refund your shipping discount ﻿during the processing of your order. Model Description: Only 30 models built. 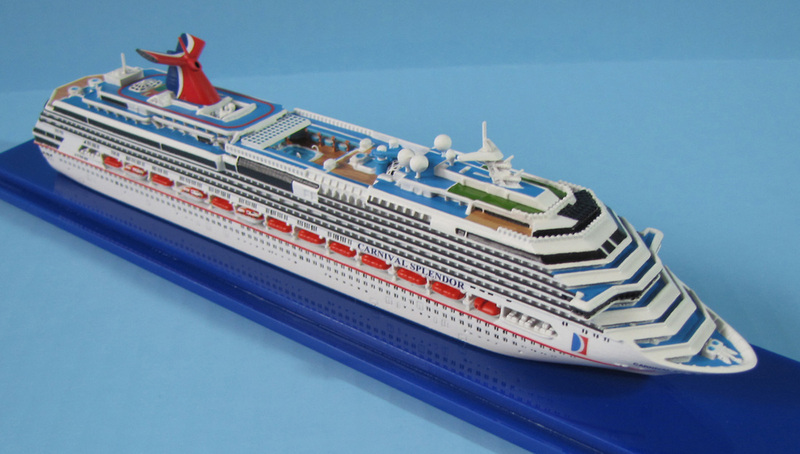 Beautiful Collector's Series waterline cruise ship model in scale 1:1250. Expertly designed to exact hull lines, architectural proportions and details, so you can find and mark your balcony or cabin window, or your favorite spot on the ship’s deck. Made of cold cast resin, hand assembled, hand painted. Details include recessed windows and balconies, life boats, intricate water slides, deck gear. Comes in high grade acrylic case with clear cover. Double-boxed shipping. SCHERBAK models are the best memos of any Cruise Vacation, best gifts for Cruise Wedding, Honeymoon or Anniversary Cruises, Birthday or Christmas.